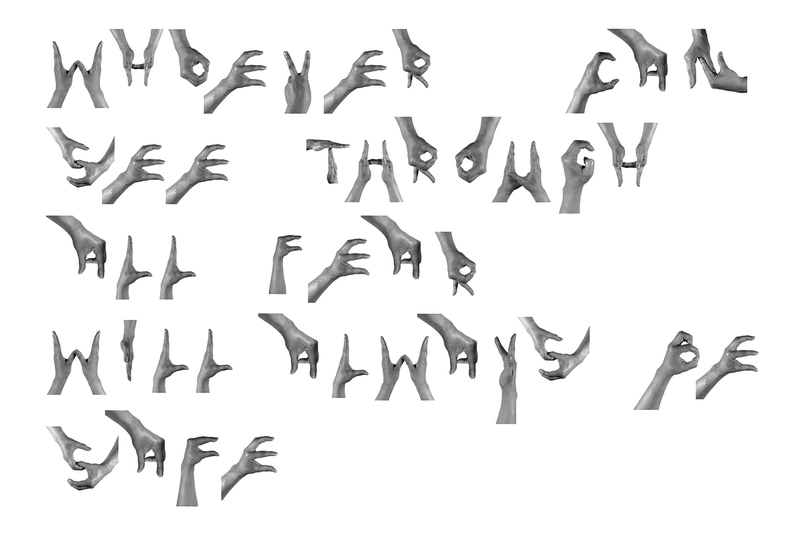 The Gesture of Writing (Whoever Can See Through All Fear Will Always Be Safe) is a print on paper that spells out a 6th century BC Daoist aphorism. 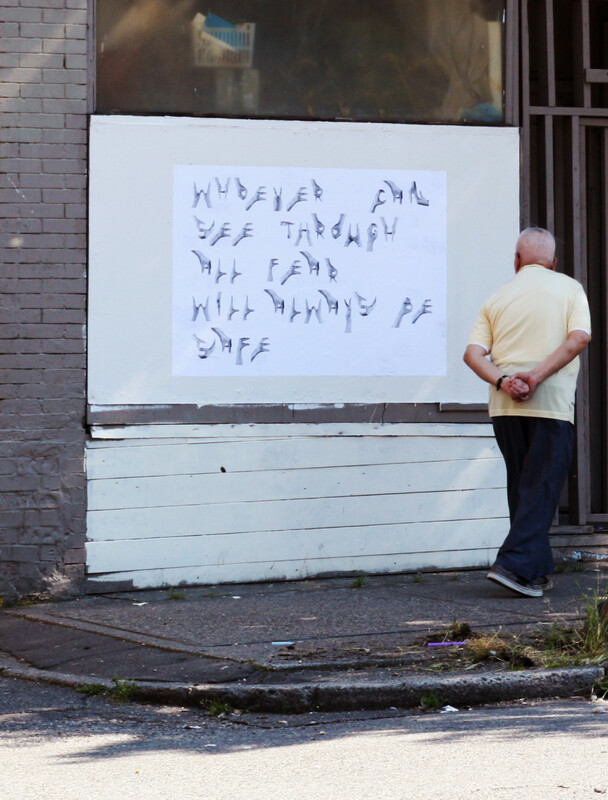 From a distance, the message appears as though written in a peculiar sort of calligraphy. At closer observation, the viewer discovers the letters are made with a DIY hand alphabet resembling sign language. This form of lettering mystifies and slows down the reading to a speed that is necessary to contemplate the depth of the aphorism. In present day Vancouver, the Dao De Jing is an enigmatic text, existing in a post- ideological status somewhere between politics, philosophy and religion. 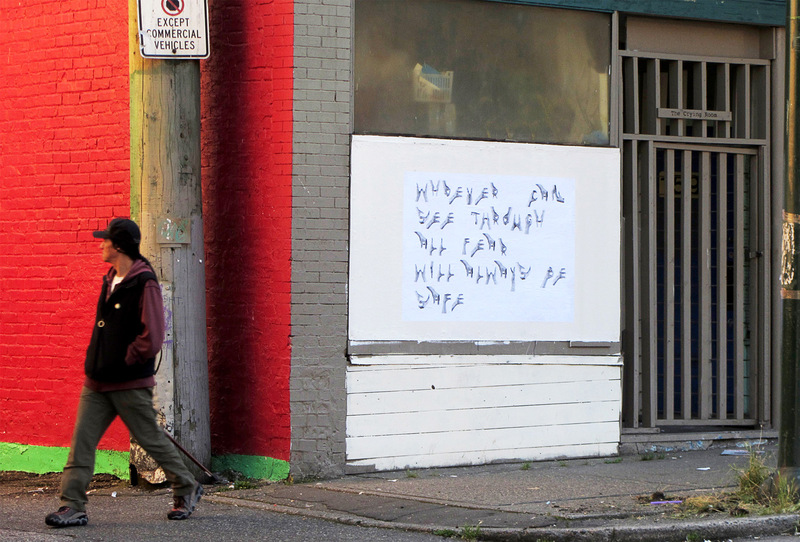 Displayed on the façade of the Cryingroom on East Cordova, the work takes on site-specific implications, reflecting the complicated history and social environment of the Downtown Eastside.